NL: I see, that’s pretty interesting…can you tell us how you do it? MR E: Well, first you get yourself a pot of water and you boil it. Once you have a good, rolling boil, you take an egg, crack it, and you drop it into the water. NL: Can you show us how to do this? MR E: Oh, no, no, no, you don’t want to be careful, because if you’re careful, it’s going to be nice and neat and you don’t want that. Just crack it, drop it in there and watch what forms. NL: And then, do you turn off the heat so you can actually see what’s there? MR E: You look, and you see what’s there. NL: So…what do you see in there? NL: I see, it’s kind of like reading tea leaves. MR E: Yes, it’s like tea leaves only with an egg, pretty much only you get to eat the egg afterward! MR E: Oh! Look at that! Do you see that? There are two people together – they’re getting married! MR E: There’s a marriage in the future. NL: (Laughing) Are you sure? Hey, you’re the one that cracked the egg – it’s got to be your future! (He turns the pan around in a circular motion to change the formations a little bit) There’s a dragon! See it? NL: So, what period of time does this cover in general? 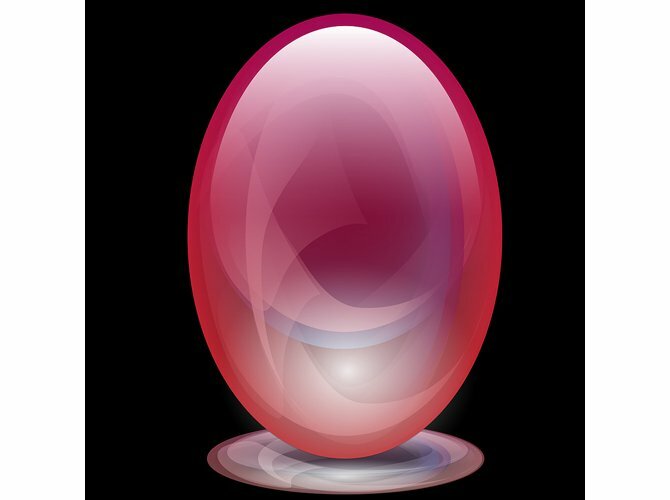 MR E: Six months to a year…let’s see, what else do I see in here…I love egg divination, don’t you? NL: Yes, I never thought we would be able to see so many things that we would recognize in there, it’s fascinating. Hey! I see a little gnome head there..
MR E: Yes, I see, in the corner here – (laughing) that’s probably me, I look just like that, you know! I’ve never heard of this type of divination before..so who is getting married?? Dear Natalie if Mr. E approves of you posting a picture of him would you? I want to know what he looks like ? @fairydust – lol, you’re welcome! If you try it, please let us know how it goes. @Fae – We all have the ability to do magic so go for it! As for the picture, he would need to have his portrait painted. @dante – you are right! I’m working on another post and we should have one with Mr E next week too. WAIT! could fish mean travel over water? and a dragon maybe travel through air? but i dunno about the witch or the yin symbol… or the lizard. It sort of makes sense, i might be moving to china soon… and that requires travel over water through the..air! 😀 WOW! this is so cooL! that makes sense! but… wait.. the witch…hmmm the yin stands for love but what about the witch!? and the lizard? WAIT maybe the witch signifies me and the reason only half of the yin yang symbol (the yin part) appeared is because ill find the “yang” side or someone ill love in china? LOL i feel like an idiot. am i doing this right? Its odd that the symbols appeared in pairs that make sense. but… :/ my mom decided moving to china wasnt an option so.. why is it showing up?! Mr. E has a sense of humor =) But does he seriously think he looks like a gnome? That would be kinda funny too. With the egg divitionation can it predic stuff that can happen in a week? or does the stuff happen with in the time period in betweeen the 6months and 1year? 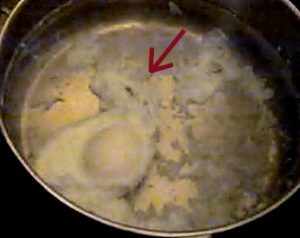 oh and I see a swan in the part of the egg with the yolk in the picture you posted. What wuld the swan mean in that prediction? omg i tryed it and i saw stuff but i have know idea what they mean…. kk i saw a dog, a sailboat, a heart, what looked like a high heel shoe, a dolphin, and half a mermaid tail……. no lie!!!!!!!!!!! i wonder what this stuff means!! Can you tell us all the symbols and what they mean? Hi Natalie and Mr E, that was awsome! What does Mr. E look like? I tried the egg divination but my egg doesn’t look like yours and mr e’s the yolk didn’t even cook it still is raw. I am very confused and don’t know if it did right. Is the egg supposed to be cooked. Please help! I can send a picture if you would like. Hi there, Sorry for the delayed answer. You can post like you did here and I will see it. We are busy working on our book so it may take a little, hopefully not too much, until we answer. Thanks for your wonderful comments! We appreciate it!